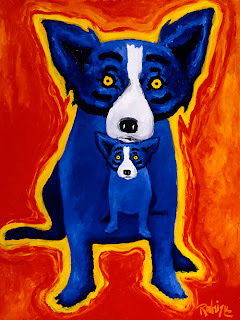 Since founding the George Rodrigue Foundation of the Arts (GRFA) in 2009, George Rodrigue has visited dozens of schools and thousands of children across Louisiana, Northwest Florida and Little Rock, Arkansas. 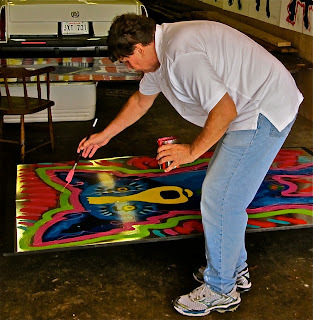 * Through GRFA he fulfills his need to contribute to his community within the arts and education, words scarcely combined in his own childhood in 1950s New Iberia. This week we visited Martin Behrman Charter School in Algiers, a city on the West bank of New Orleans. Following a drawing lesson in Behrman's historic auditorium, the 4th grade students painted pink snakes, striped lions, and polka-dot birds with George Rodrigue. 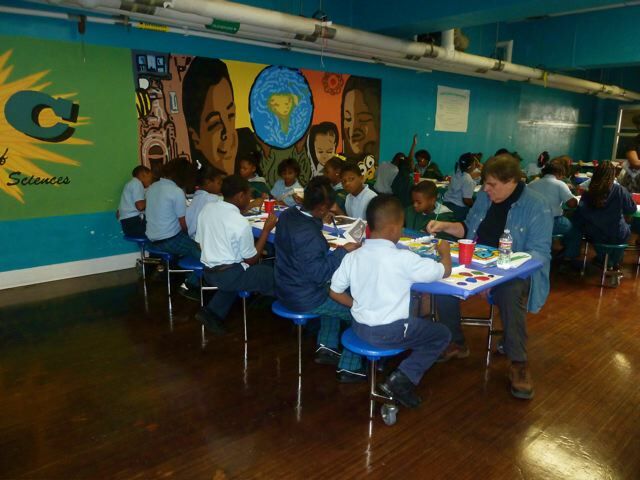 In addition, through George's Art Closet, the class received a year's worth of art supplies. For the older students, this week we launched our first annual Digital Art Contest with a reception in the George Rodrigue Foundation of the Arts Education Center. Louisiana high school students submit 3-D renderings, competing for $15,000 in scholarships, awarded during a luncheon this summer honoring the winners. 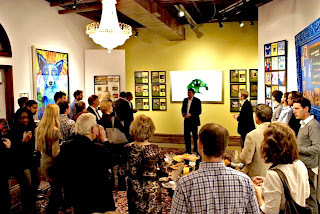 “I challenge educators and business leaders to join GRFA in embracing the digital arts as a viable industry for Louisiana and an important addition to our state’s educational programming." 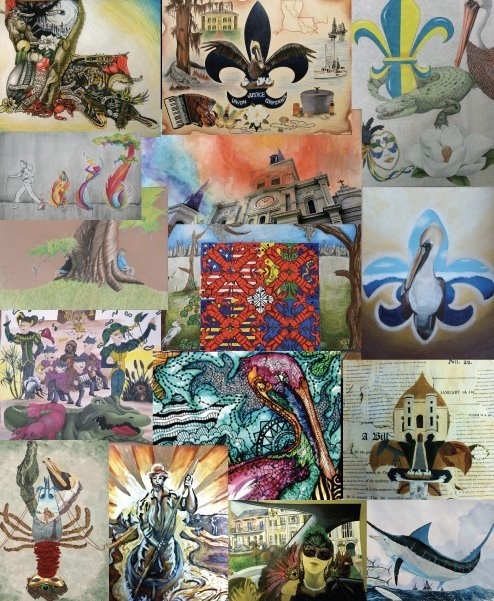 Hundreds of students from across the state submitted their artistic celebration of two hundred years of Louisiana’s statehood. 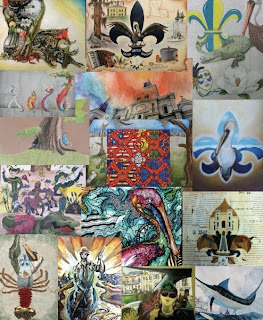 The top winner designs the official Louisiana Bicentennial Poster, representing our state throughout this important year. With his foundation, George Rodrigue encourages the arts in all areas of education, even as state and federal funding wane thinner by the day. 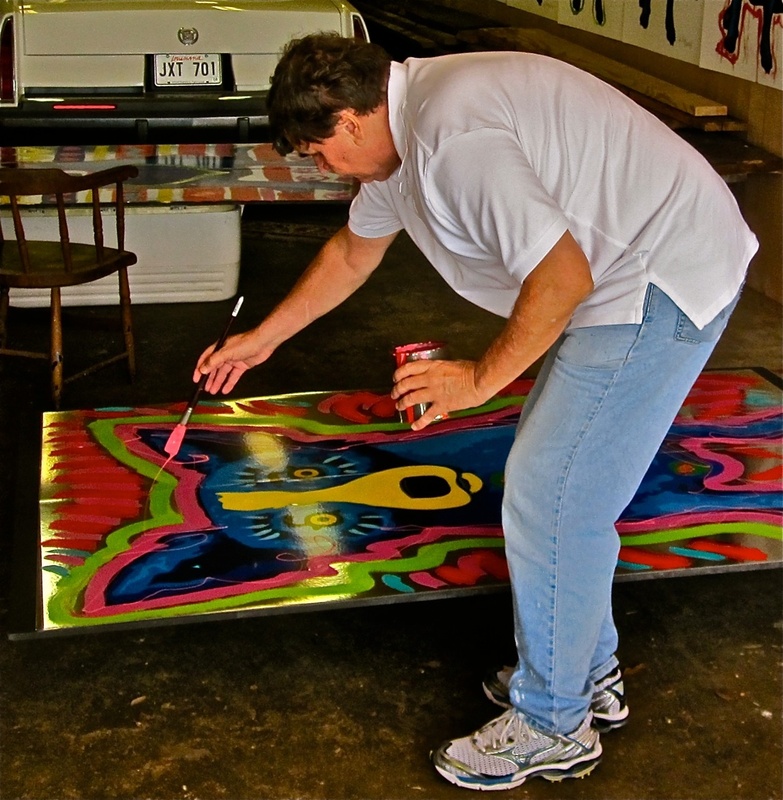 Through the generosity of several corporations, organizations, and GRFA’s founding members, along with a successful Print Donation Program, he watches his dream become a reality, as children remain inspired by the arts in school, just as he remains inspired by the arts in life. I loved that clip of the kids painting with George. The paintings they were laying down on the floor looked great. 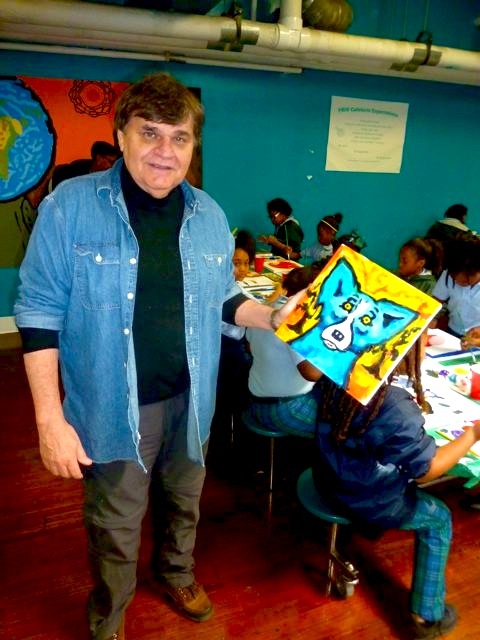 How wonderful that the Rodrigue Foundation gives them art supplies. Creativity is so important for finding meaning in life. You are all doing so much to enrich the lives of these kids. Good for you! Wonderful - lucky students ! A true inspiration. You two are the most amazing couple I have ever met. Thank you for making my trip to Washington a memorable one! !